Vent-Quip was established in 1988 by Christoffel Hugo Roux (Chris as everyone knew him). The Vent-Quip concept came to light through Anglo ventilation officers who had a problem with ventilating new development ends in a quicker, easier way. There was a lot of hard work done in perfecting this product (the Vent Tube) which was made of polypropylene. 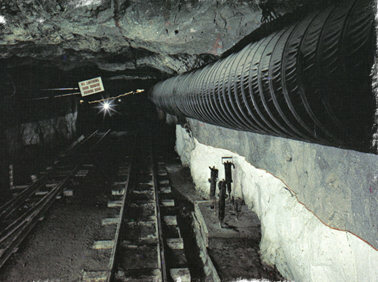 After perfecting this product Vent-Quip was now in the market through the offer they took from Anglo American by the Harmony Gold Mining Company. In 2002, C.H Roux passed away and Dewald Roux took over the reins of the company. After this introduction he was forced to revise the whole curtaining of Vent-Quip due to market evolvement and changes. A new breed of Vent curtaining saw the day with a top seal concept, constructing and equipping equipment all in one packet. It was successful from there on. He sorted manufacturing PVC ducting in expanding the Portfolio of Vent-Quip. To date this is a growing and stable business with sound business ethics.